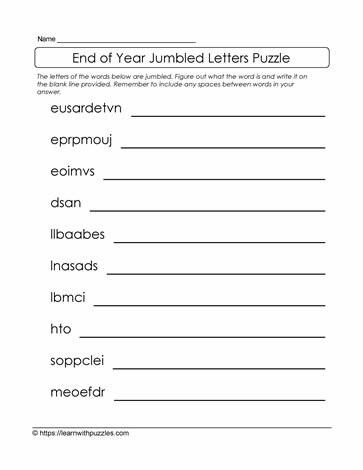 Unscramble the letters to solve this end of year jumbled letters puzzle. Suits kids looking for a challenge as well as supporting growth and development of problem solving strategies and creating systematic approaches to solving puzzles. Great support for home schooling as as a tutoring resource.